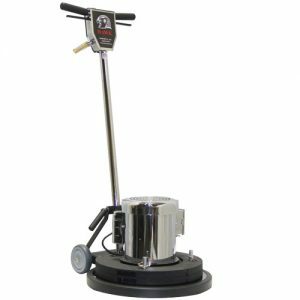 The Hawk Brute Floor Buffer’s totally enclosed motor units are ideal for the harshest conditions –dust, moisture, chemicals – and great for sanding or screening applications, stone care and concrete work. The Hawk Merlin takes advantage of innovative engineering and modern design to set new records in production and user safety. Our unique handle carriage provides 100% contact with the floor and incorporates forward movement over the traditional side to side of stand-ard floor machine design. 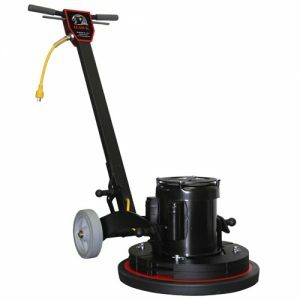 Scrubbing, stripping, surface preparation, and stone polishing have never been easier. When hard jobs show up, the Merlin works magic providing faster production, more consistent patterns, reduced fatigue, and the highest overall operator comfort. 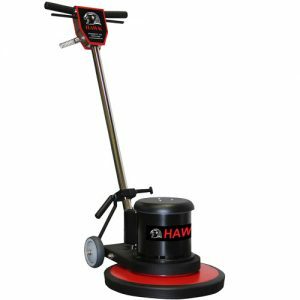 The Hawk Standard Floor Machine is perfect for stripping, scrubbing, and carpet care. Realize maximum power with the twin capacitor AC motors and Hawk’s ruggedly reliable floor machine design! Machine operators will appreciate the solid performance of the extremely well-built floor machines that deliver on every job they tackle. The consistently unsurpassed performance of these floor machines makes them the top choice for floor cleaning challenges. Available in 11 colors.